The Adaptive Health Behavior Inventory (AHBI) is a psychometric assessment of adult intrinsically motivated adaptive health behaviors, health-related goal-directed actions, health habits and health-related beliefs in response to different but common health-related contexts. These intrinsically motivated behaviors represent the interaction of individual affective preferences and the physical and psycho-social aspects of their environment. 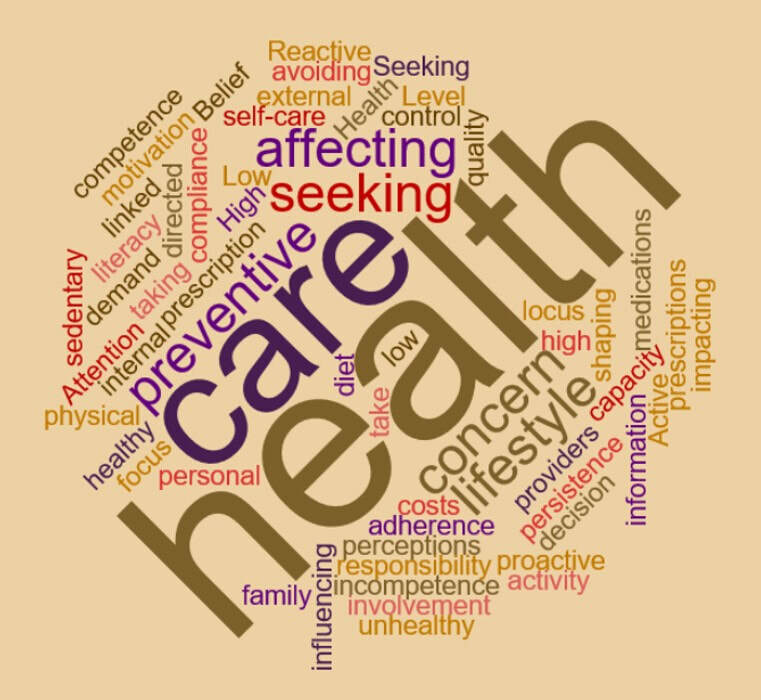 Medical claims levels across AHBI measures of "care seeking in response to perceived illness" support their relationship to actual behavior. Responses indicating delay of health care seeking have been associated with reduced medical expenditures associated with physician visits and use of prescription medications. Pharmacy claims levels associated with response patterns to AHBI measures of vigorous physical activity support their association with both the need and freedom from prescription medications. Those adults who describe themselves as regularly engaging in active vigorous exercise generate lower demand for prescription medications compared to adults who don't. Dependent medical claims levels across response patterns to AHBI measures of "responsibility for family health" support their association with both higher (strong disagreement) and lower (strong agreement) seeking of medical care for dependents. Fifteen of the 20 AHBI measures discriminate between women and men and identify gender-based differences in health-related behaviors, particularly in relation to seeking information about nutrition (AHBI-11) and internal locus of control around health-care decision-making (AHBI-20).